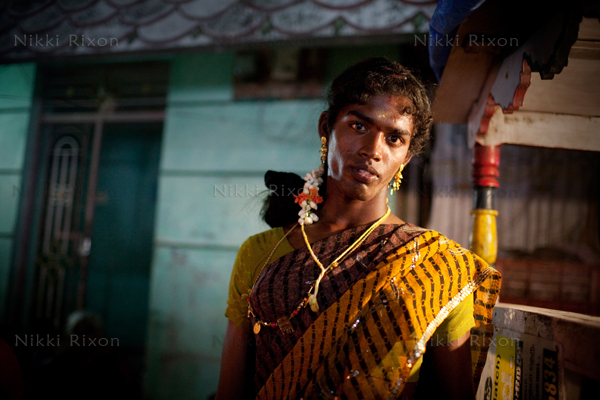 Hijras (or "arovanis" as they are known in Tamil Nadu) are transgenders, and have existed in India for more than 4,000 years. 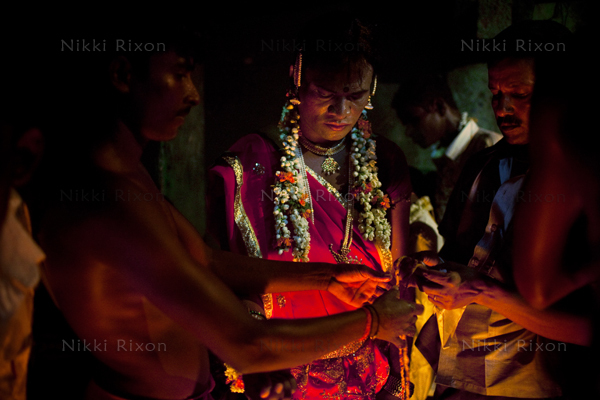 They are believed to have special powers that enable them to bestow luck and fertility. 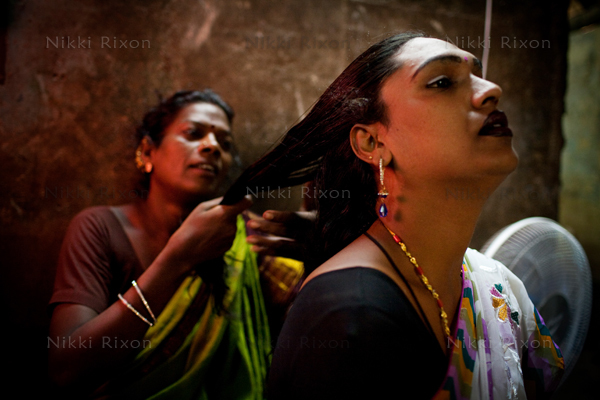 Despite this, hijras have often faced severe harassment and discrimination. Some things are beginning to change with India recently seeing it's first transgender model, tv presenter and Bollywood star. 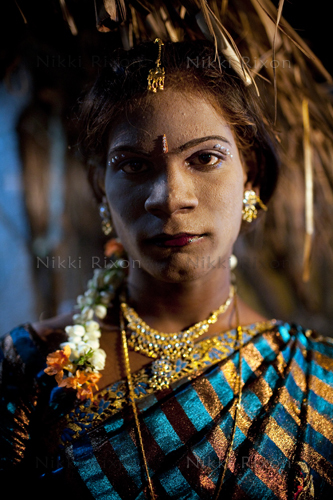 I documented several hijras in and around the time of the Koovagam festival that occurs in Tamil Nadu each year in April. 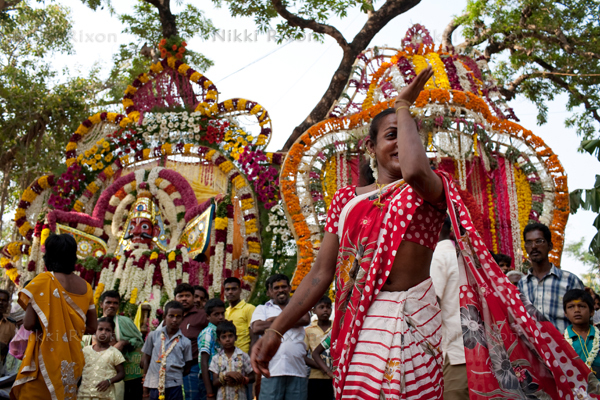 The participants marry the Lord Koothandavar, reenacting an ancient myth of Lord Vishnu/Krishna who married him after taking the form of a woman called Mohini. 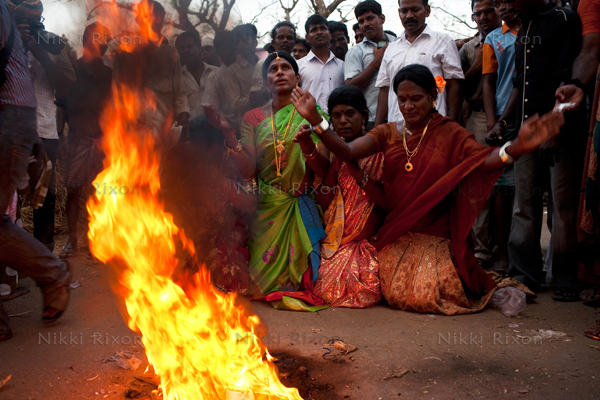 The next day, they mourn the god Koothandavar's death through ritualistic dances and by breaking their bangles. 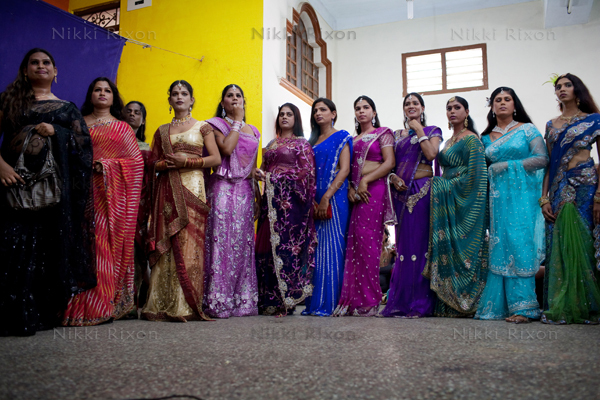 An annual beauty pageant is also held in nearby Villupuram. 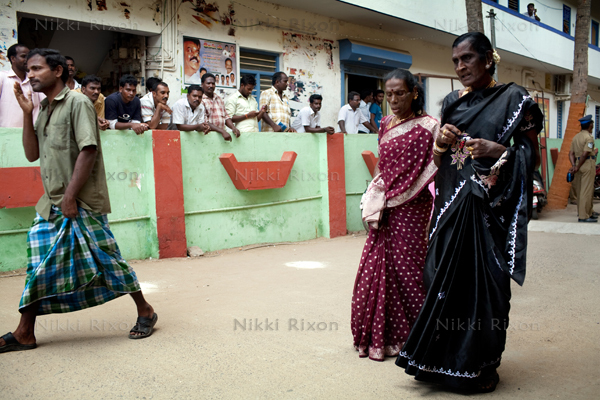 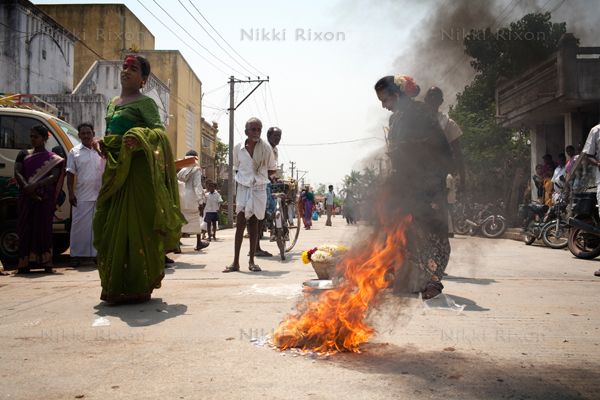 My journey to India in 2012 marked the beginning of my documenting hijra communities. 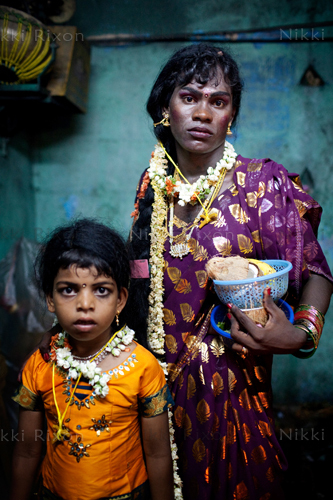 My aim in doing so was to show the normality of their lives to help dispel common misconceptions about them - we are all human, and share the same fundamental desire to be happy and free from suffering. 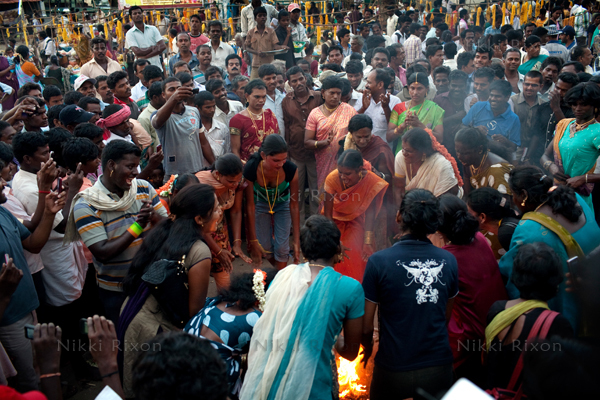 I would like to bridge the gap that exists – the feeling of "us and them". Many hijras have had to turn to begging and prostitution due to the alienation they face by society at large. 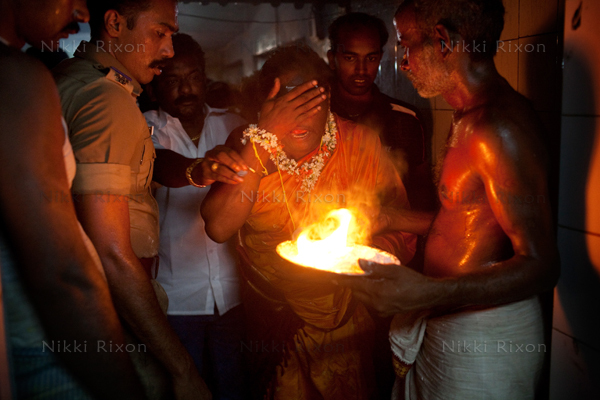 However, this does not mean they should not receive empathy, compassion and understanding. 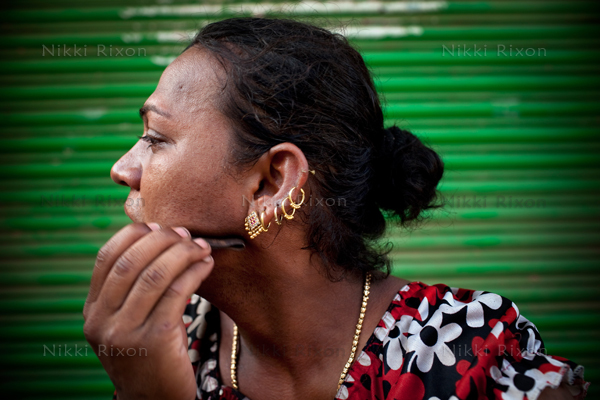 Difficult circumstances can lead to difficult choices, choices many others might also make if put in the same situation themselves. 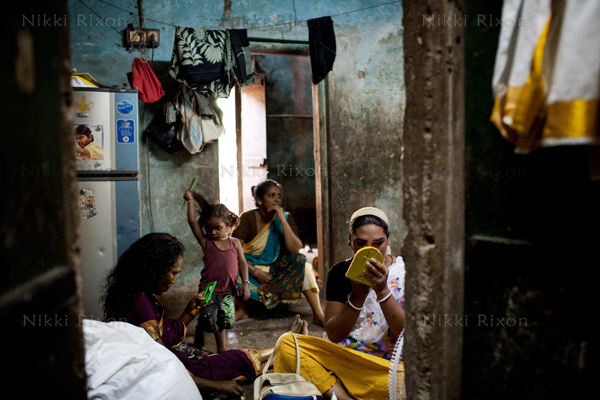 This is an ongoing, long-term project.